Diabetes is a common life-long condition and the number of children being diagnosed with type 1 diabetes is increasing. The symptoms can be controlled but there is no cure. For many, diabetes means living with daily insulin injections and the possibility of long-term damage to their health. When blood glucose (sugar) levels rise, beta cells in the pancreas release insulin. Insulin tells cells throughout the body to take up glucose from the blood. In Type 1 diabetes, the immune system destroys beta cells. In Type 2 diabetes, cells do not take up enough glucose, either because they are insensitive to insulin or too little insulin is produced. 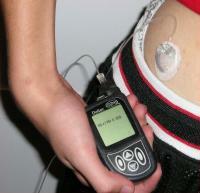 Type 1 diabetes patients require daily blood testing and insulin shots. Scientists have successfully used pluripotent stem cells to produce glucose-responding cells that release insulin, like beta cells. Clinical trials of these cells are underway. Diabetes is quite well understood, but the causes of diabetes are not. Research is still being conducted on what triggers the immune system to destroy beta cells in Type 1 diabetes. Current research is examining the use of stem cells as a way to create beta cells that can be transplanted into patients with Type 1 diabetes. Clinical trials are presently taking place with devices/capsules that protect transplanted stem cell-derived precursor cells of beta cells from the patient’s immune system. Researchers are also interested in the possibility of using drugs to promote cells in a patient’s pancreas to naturally make more beta cells. Autoimmunity is a big challenge for Type 1 diabetes. Even if new beta cells are created or transplanted into a patient, the immune system will eventually target and destroy these cells. Thus, treatments must consider how to prevent new beta cells from being targeted. Typically this has involved immune suppressants, which have an unfortunate side effect of increasing the risk of infection. How is diabetes treated at the moment? All the cells in your body need energy. This energy is carried around the body as sugar (glucose) in the blood. There are several types of diabetes. What they all have in common is a problem with regulating normal levels of sugar in the blood. Normally, blood sugar levels are controlled by the release of the hormone insulin. Insulin is made by cells in the pancreas called beta cells that are arranged into clusters together with other pancreas cells. 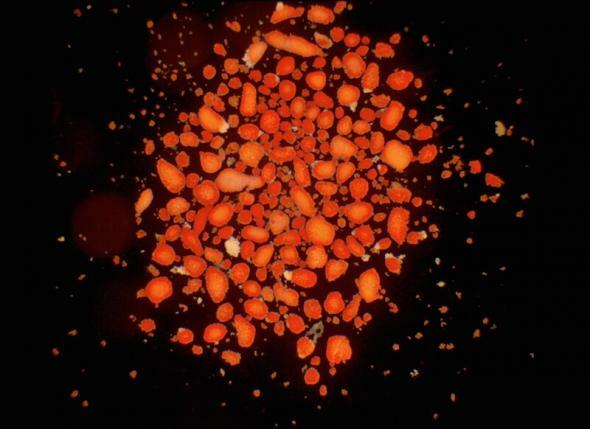 These clusters are called islets of Langerhans. In one human pancreas there are roughly one million islets. Where is the pancreas? : located in the abdomen, next to the small intestine and stomach. The cells in the pancreas that make insulin (beta cells) are highlighted in red in this video by Dror Sever and Anne Grapin-Botton. 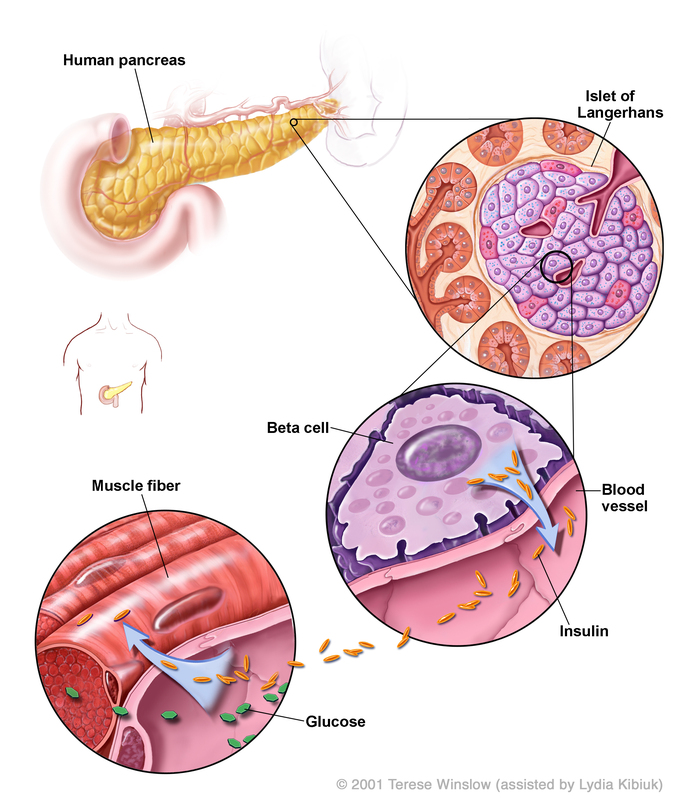 Insulin production in the human pancreas: Beta cells are found next to blood vessels flowing through the pancreas where they release insulin into the blood stream. Insulin is needed for the uptake of glucose by cells (for example, muscle cells) so that it can be used as energy. There are several types of diabetes. What they all have in common is a problem with regulating normal levels of sugar in the blood. Type 1 diabetes occurs when the body’s immune system damages and then destroys beta cells. This means the levels of sugar in the blood stay high all the time, which can lead to long-term damage to the body. Type 2 diabetes occurs when insulin no longer works correctly as a signal to the body's cells that sugar should be absorbed. This might be because cells are unresponsive to insulin, or that beta cells are producing too much or too little insulin, or a combination of both of these cases. Seeing diabetes: Images showing an islet in a person with diabetes type 1 (left) and without diabetes (right). In the left image we can see less insulin being made (shown in brown) and swelling, as the beta cells are damaged. Currently there is no cure for diabetes. Although Type 2 diabetes can often be at least partially controlled by a healthy diet and regular exercise, Type 1 diabetes cannot. People with Type 1 diabetes must self administer insulin to survive (through injections or a pump) and test their blood sugar levels several times a day in order to determine insulin dosages. Unfortunately, it is difficult to keep the blood sugar level within a normal range. Over time, high blood sugar levels can cause serious damage to the heart, eyes, blood vessels, kidneys and nerves, whilst injecting too much insulin can lead to a blood sugar level that is too low (hypoglycaemia) which can be fatal. It is possible to treat Type 1 diabetes by transplanting pancreatic islets, isolated from a donor pancreas, or even a whole donor pancreas into the patient. Transplants can enable the body to regain control of blood sugar levels so that administrating insulin is no longer needed. A whole pancreas transplant involves major surgery and carries significant risk. Islet transplantation is usually performed by an infusion of isolated donor islets into the portal vein of the liver, which becomes the home of the new islets. The number of donors is heavily outweighed by the demand and the islets have to be of good enough quality and in the right amounts. Transplantation of donor cells (whole pancreas or islets) imply that the immune system needs to be suppressed so that the transplanted donor pancreas or islets are not rejected. The immune suppressing drugs leave the recipient vulnerable to infection and often have side-effects. Today only a limited number of patients with type 1 diabetes are suited for transplantation due to these side effects. Even with immunosuppressive drugs there is a gradual decline in transplant function, which is likely due to chronic rejection and further transplants may be needed. If the immune system has been triggered to destroy donor cells, it may be more difficult to find an appropriate second transplant as further islet and other transplants like a kidney are more likely to be rejected. Human Islet of Langerhans: The same Islet, shown on the left with insulin highlighted in green revealing the beta cells. On the right glucagon is highlighted in purple, produced from alpha cells. There are currently no proven treatments for diabetes using stem cells. If beta cells could be made in the lab it could solve the problem of obtaining the right number of functional islets for future transplantation needs. Mature human pluripotent stem cells into beta cells in the lab, which are transplanted into diabetic patients. Mature beta cells in the lab from other types of cells, for example liver cells, which are transplanted into diabetic patients. 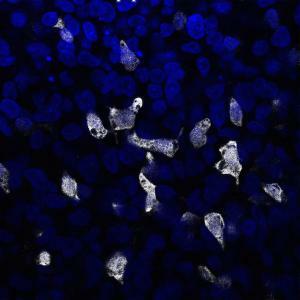 Use drugs to trigger cells in the diabetic patient’s own pancreas to produce new beta cells. How can we protect the cells from being attacked by the immune system once they have been transplanted? Pluripotent cells (either embryonic stem cells or induced pluripotent stem cells) can make any cell type in the body and researchers are exploring how to direct these to make fully functional beta cells. Such cells could replace the scarce source of donor pancreatic islets of Langerhans. Researchers have so far succeeded in producing cells from human pluripotent stem cells that respond to glucose in a similar way to normal beta cells both in the laboratory and in mice. Moreover, when transplanted in diabetic mice glucose levels become normalized. These beta cells will soon be tested for safety in phase 1 clinical trials. Some researchers think it might be possible to encourage cells already present in the patient’s pancreas to make new beta cells – a process normally referred to as regeneration. It is not known whether stem cells exist in the pancreas but beta cell precursors have been found in mice. Some researchers hope that if these precursors exist in the human pancreas that they may be able to find drugs that convert them into new beta cells in patients. Obviously, even if this would be possible one would also have to prevent the autoimmune destruction of the new-born beta cells. These efforts are still experimental in nature and have not reached a point where clinical trials are close. The birth of beta cells: The pathway of maturation from progenitor cells to beta cells as the pancreas develops. Work is underway to find the most effective way of encapsulating transplanted cells to protect them from immune attack. At the moment several research groups and commercial companies (ViaCyte and Beta-O2Technologies) are involved in clinical phase 1 studies to create a capsule that allows for inward transport of glucose and other nutrients and outward transport of insulin yet protecting the cells from the immune system. Work exploring drugs, vaccines or cells that reduce the immune reaction is also underway. Results of this work could create better therapies by being combined with beta cell transplantation. The fact that it is possible to efficiently generate beta cell from pluripotent stem cells strongly argues that it is time to test the safety and efficacy of these cells in patients with Type 1 diabetes. Two clinical trials for type 1 diabetes involving stem cells have been launched in recent years. Both run by biotech company ViaCyte, they involve the use of pancreatic precursor cells that are placed in a credit-card-like case and transplanted into the body. The hope is that, similar to studies in mice, the precursor cells will spontaneously mature into insulin-producing cells in the body and replace the lost beta cells. The first clinical trial was started in July 2014. This Phase 1/2 clinical trial aimed to investigate safety and efficacy of the PEC-EncapTM product, which consists of precursor cells loaded in a device that allows the release of insulin into the blood stream whilst preventing the immune system from attacking the cells. ViaCyte reported in 2018 that PEC-Encap is safe and well-tolerated by patients, with the Encaptra® device appearing to be immuno-protective as designed. However, further development to ensure effective engraftment in patients is needed. Towards this end, ViaCyte is collaborating with W. L. Gore & Associates to generate new devices for implantation. In 2017, ViaCyte initiated another Phase 1/2 trial in USA and Canada, in which the same precursor cells are transplanted in a device that allows direct vascularization of the cells. 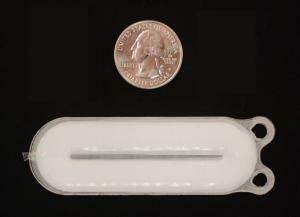 Because this device requires immunosuppression to avoid graft rejection, it is meant to be used in patients with type 1 diabetes that are at high risk for acute complications, including coma and death. Thanks to a long-standing collaboration with the international Beta Cell Therapy consortium (www.betacelltherapy.org/), a new arm has been launched in November 2018 with the implantation of the first European patients in Brussels, Belgium. This factsheet was first created by Sarah Pattison. Reviewed in 2011 by Harry Heimberg. Reviewed and updated in 2015 by Johan Olerud, Cathy Southworth and Henrik Semb. Reviewed and updated in 2018 by Henrik Semb and Eelco de Koning. Human islet where beta and alpha cells are highlighted in green and violet, respectively, using insulin and glucagon antibodies © Olle Korsgren. 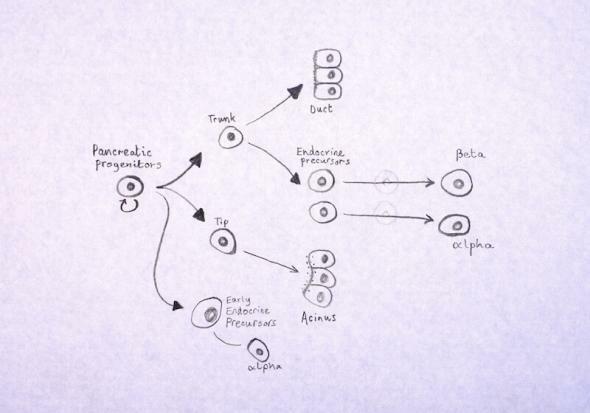 'Insulin Production in the Human Pancreas' diagram © 2001 Terese Winslow (assisted by Lydia Kibiuk). Diabetes injection image © Wellcome Library, London. In January 1922, Leonard Thompson (aged 14) was the first human to be successfully treated for diabetes using insulin. Image taken before (left) and after (right) treatment.